‘Tis the season! Our gift to you! NBC-CAM would like to recognize your achievement of obtaining and maintaining the Certified Manager of Community Associations (CMCA®) credential by offering you a complimentary, customi zed CMCA padfolio. 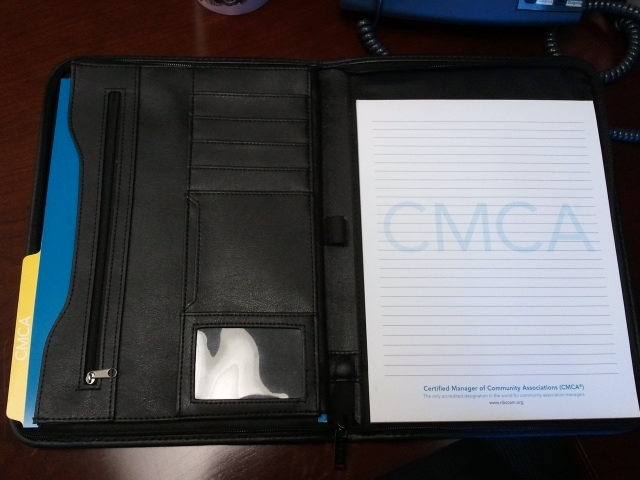 Promote the CMCA while staying organized in the office, at meetings and in your community with the CMCA padfolio! NBC-CAM would also like to offer you the op portunity to promote the CMCA credential in your office and associations with newly created brochures. The brochure describes why CMCAs, like you, are the key to protecting a homeowner’s most valuable asset. Place these complimentary brochures and holder in your lobby or association common areas. If you are interested in receiving the CMCA padfolio or brochure, please e-mail info@nbccam.org with your name and shipping address. 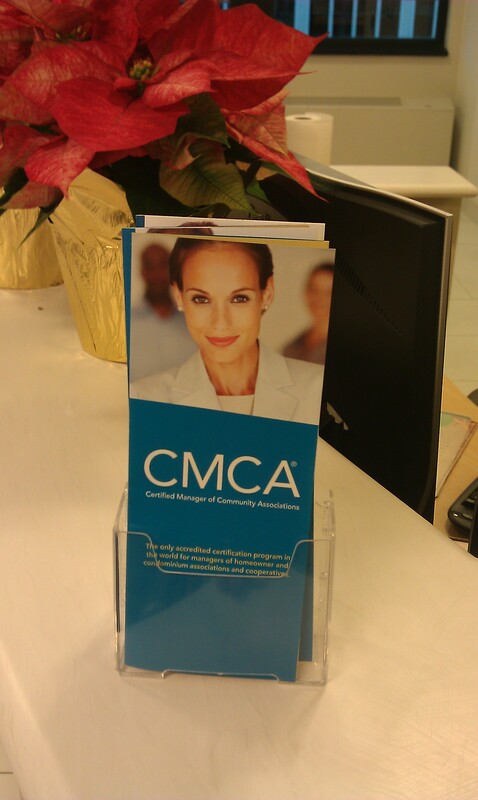 This entry was posted in fun and tagged CMCA, community association manager by CMCA ~ The Essential Credential. Bookmark the permalink.